Wiki Academy Kosovo II- City Marathon has accomplished its mission. More than 80 articles for Kosovo are published on Wikipedia during the last two days. 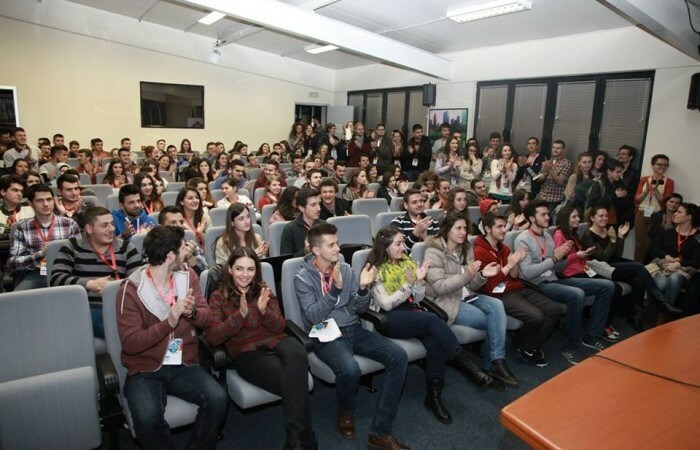 On Saturday, Gjakova Camp re-gathered participants from Peja, Gjakova and Prizren while on Sunday Prishtina was the meeting point for teams from Prishtine, Mitrovie, Gjilan, Shterpce and Ferizaj. Presentations were also part of this intensive weekend. Amir E. Aharoni and Petrit Augustini were the guest speakers who presented on “Manual of Style: How to make your article useful, readable and beautiful; Best practices for talk pages and discussions”, “NPOV & Communication with Wikipedians”, “Translating articles between languages: The past and the future” and “Categories in Wikipedia: What are they good for and how to use them”. After publishing their articles on Wikipedia, all teams had to present their work in front of all other participants, mentors and speakers. Listed below you can see all articles written during these days. The Academy will close its second edition next Sunday with the gala event which will be held in the Red Hall in Prishtina where winners will be announced.